The return of Coachella, now in its 17th year, is an annual reminder that music festivals and electronic dance music have become rites of passage as mainstream as prom, study abroad and party weekends in Vegas. But old-school ravers and festival-goers will always remember the days when these activities were considered alternative. Director Kevin Kerslake is one of those people. 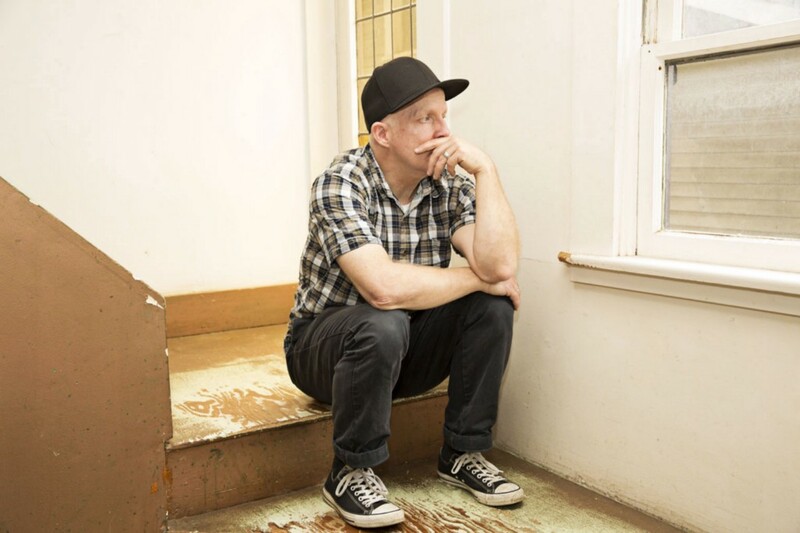 With three decades of experience in the music industry, the L.A. native has experienced quite a few cultural “pivot points,” the name he’s given to those moments when subcultural aesthetics blow up in the mainstream. For example: Kerslake cast Kim Gordon in a short film in the early days of Sonic Youth, before the band exploded in the 1980s. Gordon and her bandmates ended up using some of Kerslake’s footage for a music video, and soon enough, it was in frequent rotation on MTV. Before long he was directing videos for bands like Depeche Mode, the Smashing Pumpkins and the Red Hot Chili Peppers, and collaborating with Nirvana on Live! Tonight! Sold Out! !, only for Kurt Cobain to overdose and die during filming. Years later, he began overseeing the video displays and documentation of raves and festivals for major event companies like Hard and Insomniac. 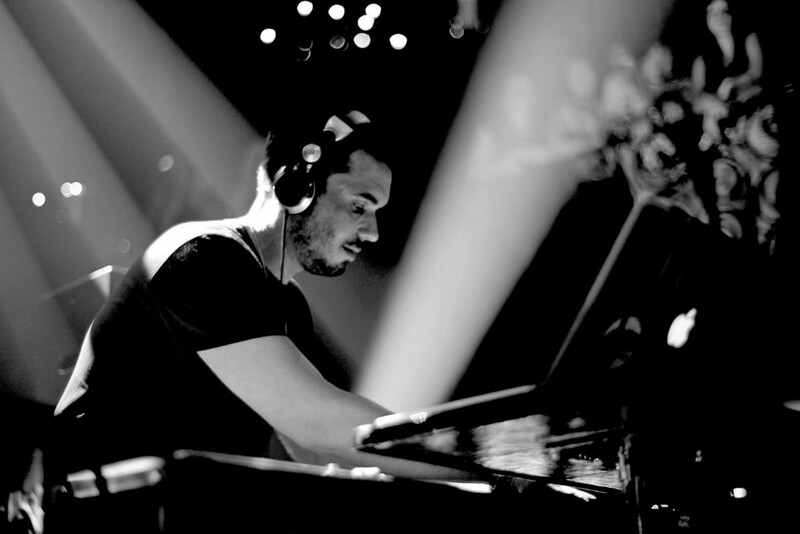 In 2000, Kerslake caught his first set by Adam Goldstein, better known as DJ AM, at a birthday party in a friend’s garage. 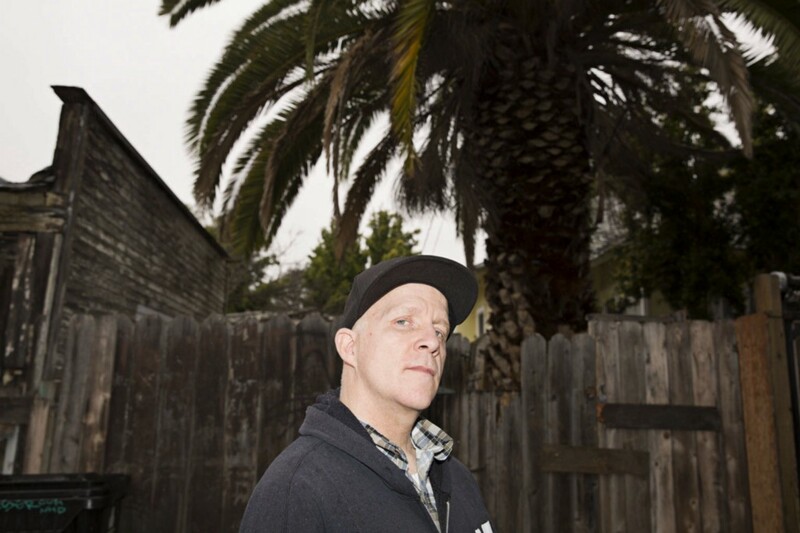 He clocked AM as a classic party DJ and mostly avoided the mid-2000s L.A. club scene that AM spearheaded, where underage kids from the Valley converged with Hollywood celebrities and droves of music superfans. But from a distance, Kerslake noted the way AM’s rise to stardom brought new artistic legitimacy and financial opportunity to DJ culture. (Eventually, AM became the first-ever DJ with a $1-million contract in Las Vegas, where you can now hear a celebrity DJ spinning almost nightly.) In 2008, Kerslake and AM crossed paths again, during one of AM’s first performances after surviving a nearly fatal plane crash that September. And then in 2009, AM and Kerslake chatted backstage at Electric Daisy Carnival, where Kerslake was shooting his movie Electric Daisy Carnival Experience. A couple weeks later, AM died of an overdose — a tragic outcome for a longtime addict in recovery who’d emerged as an advocate for people struggling with addiction. Though Kerslake and AM never got a chance to become closer friends, Kerslake learned much more about AM’s life while making his new documentary As I AM at the request of AM’s family. The film, to be released in theaters Memorial Day weekend, picks up where most of the media coverage of his death left off, using archival footage and intimate interviews to document the rise and fall of AM, whose trajectory embodied the “pivot point” moment when DJs became rockstar-caliber celebrities. 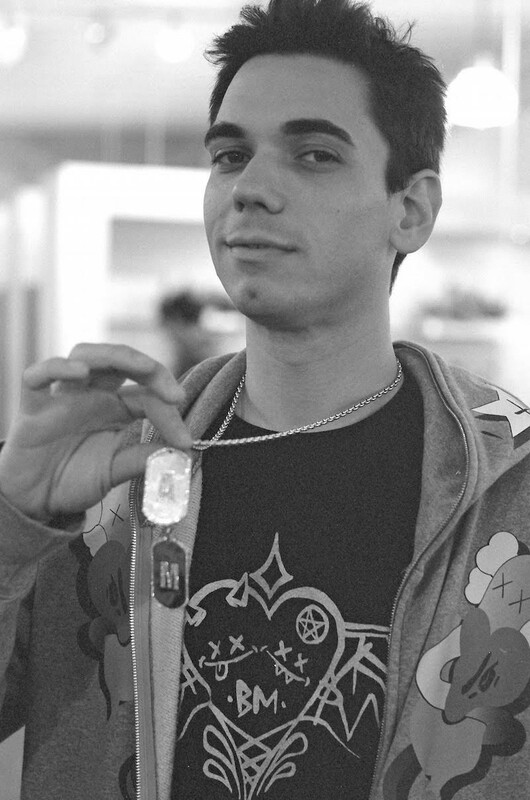 What made you such a fan of DJ AM? AM was the mashup king. He just mixed together all sorts of different genres, which at the time, we didn’t think had any business together in the same set. Funnily enough, he was a huge ’80s dance music fan and I’m not, but he had a special gift for doing things to songs that made them more likable for me. He really liked the underground where you didn’t have to pay an arm and a leg to get in, but ended up playing clubs where it cost $15,000 for a bottle of champagne. What about his story made you want to do your next film about him? I did a film called Electric Daisy Carnival Experience the year AM died — pretty much in the middle of making that film — so I dedicated it to his memory. I had shot a lot of high-end footage of AM and gave it to the family as a gift, so we got to know each other and Andrea, AM’s mom, asked me to make a documentary about him. I lost a lot of friends to this really deadly cocktail of fame and addiction. Living and working in the arts and entertainment industry, you see so many talented people go like this, but I didn’t think that meant the story should keep repeating itself. If there’s anything good to come out of AM’s death, I thought we might try to make a film that explores a lot of the issues he was wrestling with and that a lot of people around him didn’t see clearly enough. I said no for a long time because it felt too early. And I think my biggest fear was needing to tell a story that dealt with a lot of family issues and family circumstances and wanting to make sure that I could tell that story according to my own conditions. I wanted to tell it within the continuum of all the great talent that we have lost to addiction, going back from Elvis Presley to Michael Jackson to Kurt Cobain. I wanted to be 100 percent truthful and have final cut. I wasn’t willing to sugarcoat any of the family stuff, and his mother said, “Yeah, that’s the story that needs to be told.” AM was besieged by all sorts of strange, dark villains that came from his own family, and had obsessive impulses when it came to anything from music to his success. Also, in AM’s story, you find a scope of tragedy that’s thoroughly modern and mesmerizing in its own way. The challenge for me was that AM lived with his foot on the gas 100 percent of the time, and the questions became: How do I do a documentary with that sort of velocity? How do I take so many disparate elements and mash them together in a way that reflects what he did with music? The documentary is celebratory and fun but deeply traumatic, as if AM was in a constant state of recovery that only ended with his death. Yeah. Near the end, of course, the plane crash uncorked some pretty deadly stuff. It was a deadly assault on his sobriety and his capacity to have a handle on it. And he fought that alone. He was expressive once in a while about it, but the trauma from the plane crash and the survivor’s guilt was eating away at him. Then he had to get back to work as an artist so quickly, flying five to 10 times a week. Every time he took off, he felt like he was going to die. Somewhere in his cells, that’s what it felt like. And so to neutralize the force of that he started to take Xanax for his anxiety, and a lot of addiction counselors say Xanax is the devil for addicts. It gets your guard down and makes you not care. That’s what happened to AM. Throughout the movie, you seem to use AM’s professional story as a revealing example of how much popularity electronic music culture gained during those years. From an anthropological perspective, yeah, AM’s career hits on some pretty strong milestones in the music world. From him playing in a basement to him making Vegas the epicenter of EDM. 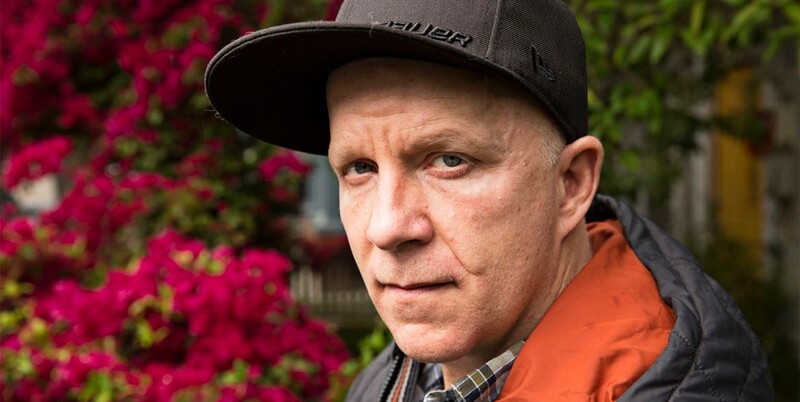 He blazed a lot of trails for DJs and club culture in general. Now that social media has propelled so many people into wanting to seem alternative or weird to stand out, do you think EDM and rave culture are still special experiences? When you go back to the early and late 1990s, the events still had that sort of subversive quality. When you’re into something nascent, and the energy is a little illicit, it’s revolutionary. It’s subversive when you’re pushing against the current trends or media appetites and carving your own niches. Once a lot of stuff becomes formalized and popular, that sort of revolutionary spirit is the thing that probably dissipates first. Now, because of social media, what’s special about a certain aesthetic or taste group now gets quickly assimilated by the mainstream. Being tuned in isn’t as much of a privilege anymore because now ordinary dudes and girls see how the cool kids dress on social media and then adapt right away, whether that’s within dance culture or beyond. Do you think raves are still all about PLUR (peace, love, unity, respect)? The good thing is, events like raves bond people. It’s enormous that at these events, people see people they’re not like-minded with and just being there together becomes the overlap, the connection point. People getting together is the greatest virtue of live music events. You know, it’s church. For many people, it’s a rite of passage. It’s a religious experience in terms of being able to connect with an open heart and a nonjudgmental attitude, to come as you are and not judge yourself or others. What’s it like filming such big events? It’s all about trying to convey the totality of the experience — setting it within a bigger context but also getting into the details of what that experience is. The collective geometry of the story — people moving en masse to this sort of oasis in the desert or within a city somewhere — is really interesting to me. Big, live events are always loaded experiences. When people go, even if it’s as a DJ or band, it’s a destination and a high point. And as a director and producer of the crews, I have like 60 cameras shooting for me. I don’t have to be in one spot the whole time. As a filmmaker, it’s a military operation in terms of the strategizing and coordination. It’s really fun. Why do you think some musicians are better suited to flourish in the public eye than others? I think that the struggle to succeed often strips you of the instinct and the ability to just experiment and try things. The people I’ve worked with that have impressed me are people like David Bowie and the Red Hot Chili Peppers, who didn’t lose their playful nature. These are the people who are totally confident that they’ll be all right if they make a mistake or if a certain project fails. The greatest value is having the balls to try things because you aren’t afraid of not succeeding. The most important part of handling fame is maintaining that discipline. Tierney Finster is a writer-actress-model-activist from the San Fernando Valley.